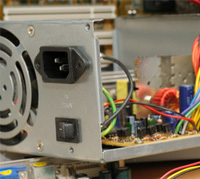 Rather than buying a new computer, let us repair your current desktop or laptop. In most cases we can get your computer running BETTER than new condition. Virus, malware and spyware makers are getting sneakier every day. Even the most careful computer users can get a virus and not even know it. We will clean them up! For a variety of reasons computers start to slow down over time. Bring your desktop or laptop and we can get rid of junk files, fix registry issues and get your computer running faster. Hard drives fail eventually and when they do you can't access your photos, documents and other precious data. We can - bring your computer in today and we'll recover your files. You bought a new, larger hard drive or the latest anti-virus program, but what now? 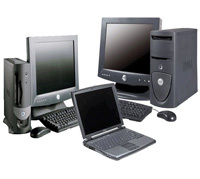 Bring your new hardware or software and your computer to us for professional installation. Get a good-as-new computer at a fraction of the cost. In many cases we're able to update old computers to BETTER than new condition. come in and see our selection of refurbished laptops and desktop computers. Screens crack, buttons stop working, speakers go out and phones and tablets freeze up. Before buying a new device, bring it to us for screen repair, system updates, unlocking or to get rid of malicious apps. Is your laptop or desktop computer running slowly, have viruses or need repair? Rowlett Computer Services can fix your computer and make it BETTER than new! Everyone needs a computer nowadays, but the costs can make it hard for a lot of us to have a good-working machine. Buying a refurbished computer will save you a lot of money – our refurbs are good as new and sometimes even better due to upgrades and software updates we perform. Come in today to see our wide selection of refurbished desktops and laptops. We can also find or build you a computer to your needs.